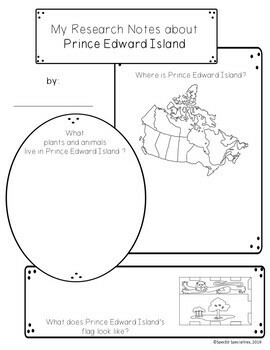 This is a series of 14 differentiated research package containing all of the materials needed to complete research projects on each province & territory of Canada, as well as the the country of Canada. Each research package includes emergent readers, graphic organizers, and writing paper. With simple and accessible materials, these projects are perfect for the special education and regular classroom, early learners, and more! 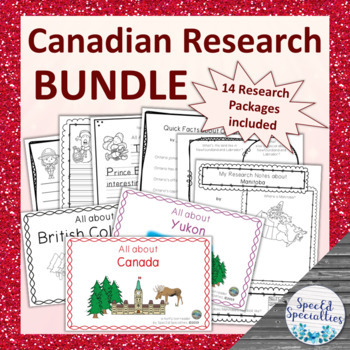 This bundle includes one research package for each province and territory of Canada, as well as a research package on the country of Canada. 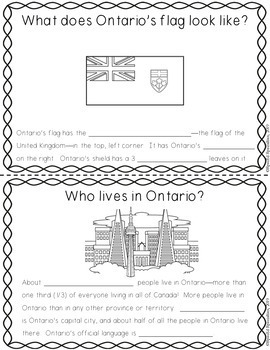 What does <Canada's> flag look like? What’s the weather like in <Canada>? What’s the land like in <Canada>? What are <Canada's> natural resources? 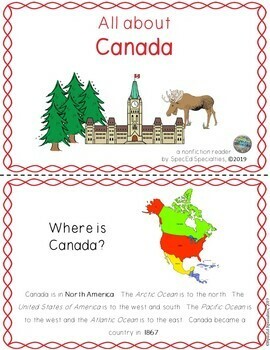 What plants and animals live in <Canada>? What else is special about <Canada>? Research Packages on new topics will be uploaded soon. Follow me to be the first to hear when they are!